Both of these are stable, simple and useful, yet they don’t seem to be used much in the wild (yet). Maybe it’s just lack of awareness so here are a couple of demos to hopefully generate a bit of interest. Provides a visibilitychange event which fires when the page (i.e. its tab) is visible or hidden. A close second is the playbackRate attribute for HTML5 <audio> and <video> elements. The default value is 1 but you can change the rate on-the-fly, e.g. to 2 to double the playing speed. The cool thing is the audio pitch stays the same so human voices don’t go higher or lower and sound silly. Note that you can only set this with video.playbackRate — you can’t use video.setAttribute(). So what d’ya say? Can we get a bit more love for these two simple but oh-so-useful features? This entry was posted in Other on 30 May, 2014 by Daniel. Paper wallet basics for bitcoin, dogecoin, etc. No matter how much you trust a digital currency online exchange or service, they are not subject to the same tough regulations as banks and won’t be bailed out by governments should something bad happen (at least not at the time of writing). 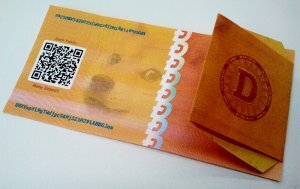 If you hold an amount of bitcoin, dogecoin, whatever-coin and are planning on keeping it, you should store it safely and that means storing it offline in a paper wallet. It’s not hard but it can be confusing so here are a few basic facts to start you off. A paper wallet is a piece of paper with two codes written on that can store digital currency offline. It’s like a postbox (mailbox) — anyone can put stuff in but only the person who has the key can get stuff out. Once you put your virtual coins in the wallet they are no longer accessible through the internet and thus are safe from hacking or online theft. The wallet can be physically stolen, however, so you should protect it as you would your cash or passport. Actually, the wallet doesn’t even have to be paper. It simply contains two codes which could alternatively be scribbled on the back of an envelope, painted on a plank of wood or artistically engraved into a block of stone. How do I get a paper wallet? For extra security, you should save the generator page and open it offline. Moolah also has a paper wallet generator for bitcoin, dogecoin and litecoin. The wallet will have a public address, which is the shorter of the two codes. Anyone can send coins to this address from an online service or a software wallet. You can check the balance at any time by searching for the address at dogechain.info. The longer of the wallet’s two codes is your private key which you must keep secret. You enter this key into a software wallet to get (or import) your coins. If you’re using the default software wallet available from dogecoin.com then you go to “Help” -> “Debug window” -> “Console” and type in importprivkey [your-code] MyWallet and press Enter (you can replace “MyWallet” with any name you wish). Note that the first time you run this software wallet it will take several hours (and use up several gigabytes) to synchronise. A faster alternative, which will take just a few minutes, is available from WowDoge.org and is also free and open source. After you install and run it, go to File -> Import Paper Wallet and type in your private key. Can you only use a paper wallet once? No, you can re-use it as often as you want. Can you send coins more than once? Yes, send coins to the public address as many times as you like. Can you take part of the coins out? No. Once you import the private key the whole amount is accessible. Can you send the private key to an online wallet? Not at the moment, and it’s not recommended anyway. Use a software wallet. Can I have more than one copy of the wallet? Yes. In fact, please do but remember to keep them all in safe and trustworthy locations. Can I check how much is in the wallet? Yes, go to dogechain.info and search for the public address (and wait a few minutes for it to be updated). Do I have to import the private key each time I send coins to the paper wallet? No, it’s updated automatically — once you import the private key there’s no need to do it again. Can I re-use the private key in a different wallet once I’ve imported it? Yes, so you can effectively have the same balance in two different wallets. However you can only send or transfer the coins once. Can I use a single wallet for both bitcoin and dogecoin? No, the codes (public address and private key) are different so you’ll need separate paper wallets. Can I donate my wallet to someone else? Sure. The coins are usable by whoever knows the private key written on the wallet so you could use it similar to a banknote or as a form of gift certificate. And finally, here’s a good video of how to create, fill and redeem your paper wallet. This entry was posted in Other and tagged bitcoin, digital currency, dogecoin on 31 March, 2014 by Daniel. Rather tricky, huh? And these are genuine examples, not edited or downsampled. These are of the form “what is two plus seven?” or “in which season do leaves fall?”. With text like this a blind person can hear it with software called a screen reader, which is good, but it has to be in a language they understand, which is not good. My blog is in English and Japanese so this a problem. There could be multiple answers, too; leaves can fall in the autumn or in the fall. This involves a field that should stay empty, possibly with a message saying “leave empty”. The idea is that spam bots will automatically fill in every field they come across but humans won’t. CSS can be used to hide the field from humans but it’s still “visible” to screen reader users or those with user styles applied (or none at all). Also, I tried this out for a while but in practice it wasn’t very effective — the spam bots are too smart. Akismet is the most widely-used but there are others. 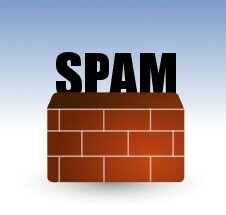 They work by sending each comment to a remote server where it is analysed and classified as spam or genuine. This method seems to be effective but you have to register and possibly pay depending on your spam-blocking needs. It’s also not ideal in an environment where comments should be private. Several users can share a single IP address, for example through a VPN, or spammers could be sending comments from a machine they’ve secretly gained access to. I don’t want to penalise innocent users. Looking through some of my spam comments I couldn’t see any from the same IP address so I doubt this approach would be very effective. Then I came across some spam bot research and a nice way to block them by Ned Batchelder (and probably others too). As most spam comments are sent rapidly from remote servers, we can add a unique token to our comment form and then check it’s still there when a comment is posted. I tried this and sure enough it blocked about two-thirds of spam — still room for improvement but it’s a good starting point. After much tweaking and experimenting I found that further analysis of a comment could catch most of the remaining spam, such as the delay between page load and posting, the ratio of text to links and the similarity of comment text to blog post text. Finally I’m satisfied. Out of the last 100 spam comments on this blog, 98 of them were detected and blocked by the filter. It’s not quite perfect and it may become less effective over time but I’m happy to make that compromise and keep my readers happy. I’ve put this together into a spam-blocking plugin for WordPress and you can see the source code here. It’s designed to be invisible for users and maintenance-free for site owners. If you try it and like it, please give it a nice review in the WordPress directory so I can get that warm fuzzy feeling! Since writing this I’ve seen spam increase again despite my plugin. 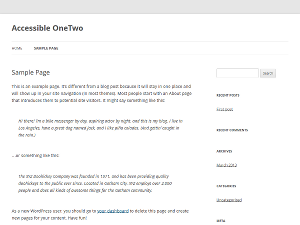 I was going to try to update it but I’ve since discovered (thanks Otto) another WordPress plugin, Cookies for Comments, which is much better and works using a similar concept. 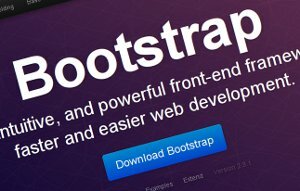 This is my recommendation for all WordPress users. This entry was posted in Other and tagged accessibility, spam, WordPress on 12 September, 2013 by Daniel. This entry was posted in Other on 7 May, 2013 by Daniel. Digital signage is a growing industry around the world but there is particularly strong interest here in Japan and neighbouring South Korea. Most recently, local businesses are focussing more and more on digital signage built with web technologies. However there seems to be some concern that existing standards (HTML5, CSS3, SVG, etc.) don’t address all the issues for web-based signage to really take off. For this reason, the Web-based Signage Business Group was set up as part of the W3C community. In order to fully understand what’s required before more specific action is taken, use-cases and real-world examples are necessary. It’s often underestimated just how varied digital signage can be so here I’d like to show a few interesting examples from the Far East. The resolution of this display in Hikarie, Tokyo, is about 4,000 x 100 pixels. It makes designing for mobile devices look like child’s play! The content is mostly informational consisting of a floor guide, event information, a horizontal clock, etc. shown repeatedly. The back-to-back displays are sometimes in sync and sometimes show differing content. Also from Tokyo is this contrast of digital signage usage. The left-hand screen shows a selection of 15-second and 30-second adverts based on a pre-determined order and frequency. The right-hand screen shows information about the train which is shown in timed mini-loops e.g. Japanese first, English second, but these are interrupted by external triggers such as the train arriving at a station. I couldn’t resist this South Korean example — it’s so cool! It was spotted by Rich Tibbett in Seoul and although it seems to be presumably a simple timed loop, it has a few points of interest. Obviously the transparent screen is one, but also the use of a skewed video whose timing has to be perfectly synchronised with the accompanying animation. As suggested by Karl in the comments, here’s a digital vending machine with a discreet built-in camera just above the screen. Normally it operates as a sign showing video adverts but when it detects a person in front of it, the video overlays disappear and it operates as a regular, albeit animated, vending machine. I did hear an unnerving rumour that it has the ability to detect characteristics (a person’s rough age, gender, etc.) to customise how it displays content but I have no solid information. If you know of other interesting examples, feel free to leave a link in the comments section. This entry was posted in Other and tagged Japan, standards, video, Web on 18 April, 2013 by Daniel.